Many small to medium-sized businesses have part-time team members. 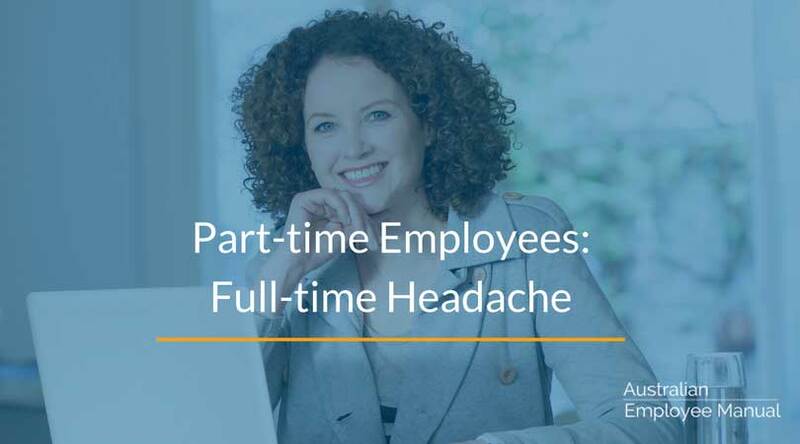 Having part-time staff can be great for the business as it helps to get regular tasks done … but it can also be one of the most challenging work configurations for a manager to manage. For starters, the person is not there all of the time. That means that they miss all of the incidental side discussion and additional task allocation that happens when a person is physically present. You know the sort of conversation … “Oh Bob, while I am thinking about it, can you …” This can limit the part-time team member’s professional and personal development as they tend to get stuck with routine tasks that are easily completed within set timeframes. They miss much of the active discussion that the rest of the team has been part of when a new project, service, new delivery or client comes on. This means they often miss a lot of the context, the planning and the background that is part of the day to day of any business. As a result, they may get jobs done incorrectly, as they don’t know the background information that changes the approach or strategy. You may end up having to rework tasks – adding to frustration levels, both yours and the part-time employee. 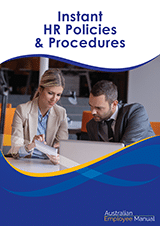 When you change internal procedures or the location of files or stock – they often haven’t been part of the discussion about the move. They also haven’t seen you physically move the items – so often have no idea where things are now located. They waste precious time trying to find things or are caught doing things the wrong way as no one had told them the old way had changed. Part-timers are often the victim of having to beg for work. What I mean by that is that they arrive and have to ask for their next task, given the nature of the projects allocated to them. Unfortunately, often when they ask for work, the manager is often really busy so throws a few terse words at the part-timer about “using their initiative and finding work to do … after all there is no shortage of work to be done”. Each time a part-time employee comes in, they have to work out what has changed since the last time they came in. They have to catch up on all of the internal procedural changes as well as the status of all of the work they may have been involved with. They can feel like they are in a totally new job each week. Remember the last time you started a new job – how were your stress levels? Imagine feeling that way every time you came to work. They can feel distant from the rest of the team, missing out the general social chit chat, celebrations and regular events. This can be particularly true if the part-timer works “school hours”, which means they may not get to see many of the other employees during lunch breaks or coffee breaks. By missing out on the social glue that holds the team together, they may be seen as an outsider or even stand-offish, creating an us and them situation with the team. You create a workplace silo that need not exist! They can even be seen as not serious about their job, preferring to focus on their family or other roles. By missing the social glue, they also miss the connection with the work and are less likely to be willing to “go the extra mile” for the role. The challenges are not all one way. Unless the part-time employee is a great communicator, then they may not let you or the team know the details of a project or customer enquiry. This means you could be calling them for information on their days off, having frustrated customers or redoing work – simply because you didn’t know what was happening. Part-time team members also involve the same amount of administrative time as a full-time team member – they needs pay processed, time sheets approved and all of the standard administration that goes into looking after an employee. How can you get the best out of your part-time team members? Having a part-time team member means that you have to plan to communicate, not just communicate in passing. The challenge here is not to make the communication and reporting so onerous that the person feels like their every movement is being analysed. Keep the focus on communication flow, not micromanagement. The most important thing is to expect and understand as a manager is that with part-time employees you need to allow for more time to communicate, check and clarify things. One of the most effective things you can do is to schedule a 2-minute catch up at the beginning of each day for a quick “download” of things that the part-timer needs to know about before they start their tasks for the day. You also need a quick conclusion chat at the end of each day – about the status of projects, services or customers. This is a real challenge for most people to manage to do, so use as many tools as you can to help you. Keep a notepad by your computer and jot down “Things to tell Bob …” to prompt your thinking about things your part-time employee needs to know about. Plan what you are going to say to your team member. Ask your part-time person to spend no more than 5 minutes at the end of each day jotting down in a communication book the status of projects and customers. You may need to give them some guidance about the sort of things to include, the depth of information you need and what projects you and the team really need to hear about. That said, over-reliance on email and handwritten notes to communicate can enforce the social isolation part-timers can feel. Nothing replaces the friendly smile, warm chat and general inclusion of a phone call or face to face meeting. Plan for team meetings on the days that your part-time employee can join you. Plan for regular coffee catch ups and team lunches on the days the person is working, so the person can attend and be part of the team. Include them in all of your regular team events such as Melbourne Cup Sweeps, crazy hair days etc. Go out of your way to include them in your activities so the “part-timer” is not the one left answering the phone while everyone else has fun. The bottom line is that part-time employment can be useful for both the employee and the manager – just know there are going to be challenges and plan to constructively work around them.